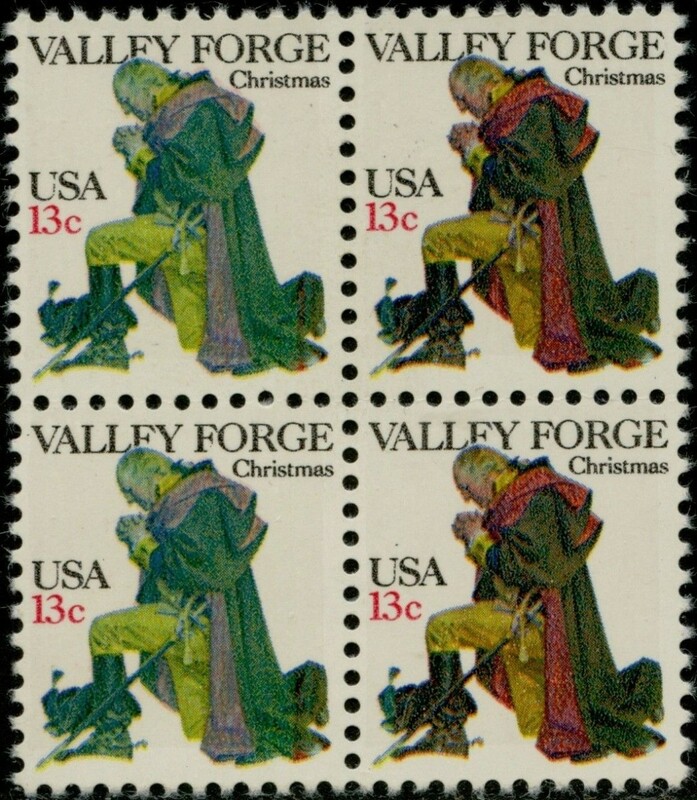 The 1977 Christmas issue consists of 2 definitive sized stamps, one of which (Scott #1729) is of George Washington praying at Valley Forge. I immediately noticed variations in the colors of his hair, coat and clothing. 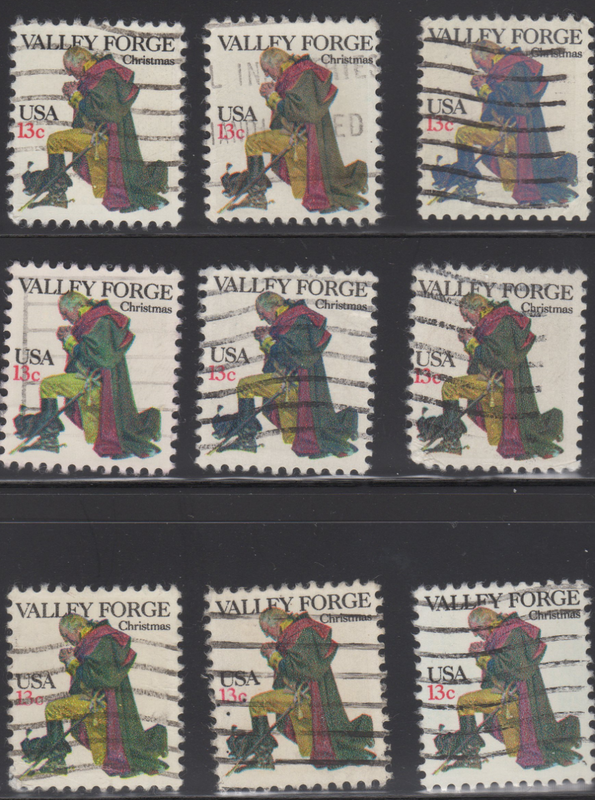 The catalog doesn’t mention any color differences, but I began to save various copies of this stamp, and you can see slight variations in most of the stamps. The general consensus is that these color variations are either from general inconsistencies during the print process, or, due to the soaking of the stamps off paper. Recently I came across an interesting eBay listing of this issue. 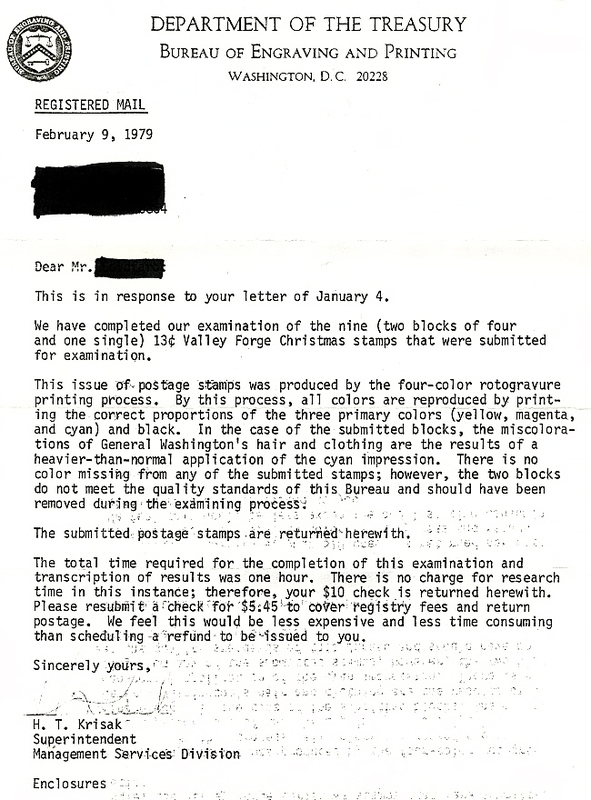 The owner of this block, submitted it (along with others) to the Bureau of Engraving and Printing, and receive the response in the letter below. This indicates that their is some definate color variations that exist due to the printing process, although they are minor and are the result of heavier than normal application of the color Cyan. The moral of this story, is, as usual, that catalogs do not always list everything. I was looking at the 13 cent Washington at Valley Forge Christmas stamps and color variations shown on your website. I have one that is lacking the red and black and maybe another color or two. Washington, clothes, boots are all 2 shades of green. I have looked online, but have not seen another one like it. Would you have any information concerning this stamp or advice as to where I could find out about it. Do stamp errors have any value like some coins do?